Ed note: We all start as just 'sellers of stuff'. 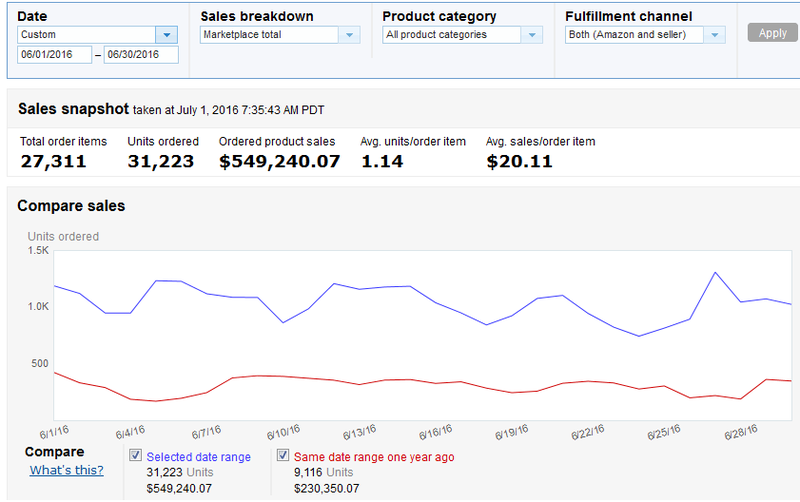 Some online sellers take it much farther with, say, wholesale sourcing. It's up to me to find those stories and bring them to you. (Plus, you asked for exactly this in my recent survey). 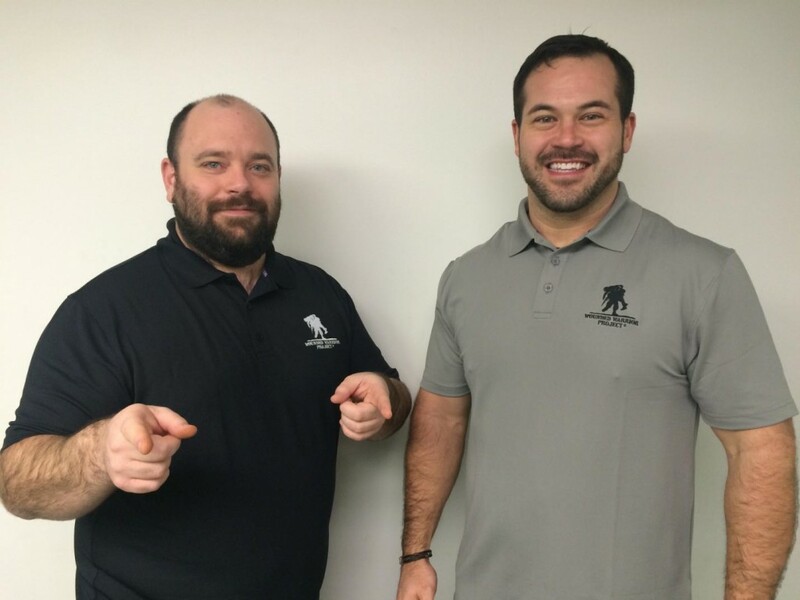 Below is a very helpful guest post from a (modest, 100% legit) multi-million-dollar seller Dan Meadors (l). This is chock full of great advice and a lot more is to come. Enjoy! P.S. If you're looking for Dan's program The Wholesale Formula, registration is closed. However their Free Workshop is open in February 2019. In late 2011 we were both working full-time jobs for an online retail company that specialized in selling collectible card games. One day, the CFO of the company quit. It surprised us because he was making a six-figure salary at the time, so we asked him why he was leaving. He told us that he was making more money selling stuff on Amazon and he was just going to focus all his time on that. We were shocked that this was even possible and to be honest, rather skeptical. We probed him about it further and he decided to take us on a trip to a local Wal-Mart to prove it to us. That was the day we learned about Retail Arbitrage and before that day could turn into night, Eric and I had decided to give this a try ourselves. We signed up for a seller account on Amazon and spent our nights and weekends either in stores scanning or at home packing and prepping. 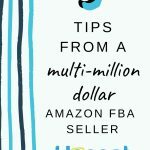 If we weren’t doing one of those things we were scouring the web to learn as much about arbitrage and FBA as possible. It was about four months in…and it was a crazy feeling! Up to that point we had reinvested every dollar we made back into the business and that really helped us grow our capital. 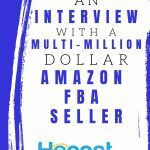 We didn’t want to stop that growth either, so Eric and I calculated what the absolute minimum amount of money we could both support our families with, and that is how we came up with our initial salaries. Everything else would continue to go back into the business. I have to say, it wasn’t exactly an easy conversation to tell our families that we’d be leaving our consistent, well-paying jobs to focus on our Amazon business…oh yeah, and taking pay cuts to do it. But they believed in us and we believed in ourselves so we made that leap. I had basically no credit history and Eric had bad credit due to some, shall we say, irresponsible decisions he made while he was in college (he did have the nicest stereo system on campus though). That means we got started with a $600 limit credit card that was in my name and that was it. Our strategy was essentially max out the card, pay it off. Rinse and repeat. We actually use that same strategy today except our card now has a $100,000 limit. And a cool thing is, even from the very beginning, we have never paid a dime of interest because we have never carried a balance. That is an achievement we are very proud of. For the first 3 years we were 100% retail arbitrage based. In 2014 we started experimenting with other models to sell on Amazon like Private Label and Wholesale. While Private Label didn’t work out so great for us, wholesale did. It took about 6 months of trial, error and experimenting to get good at it (and putting our own special spin on it), but by the end of 2014 we had finished the year at 1.2 million in sales (our best year yet) and decided to completely transition our business to wholesale. 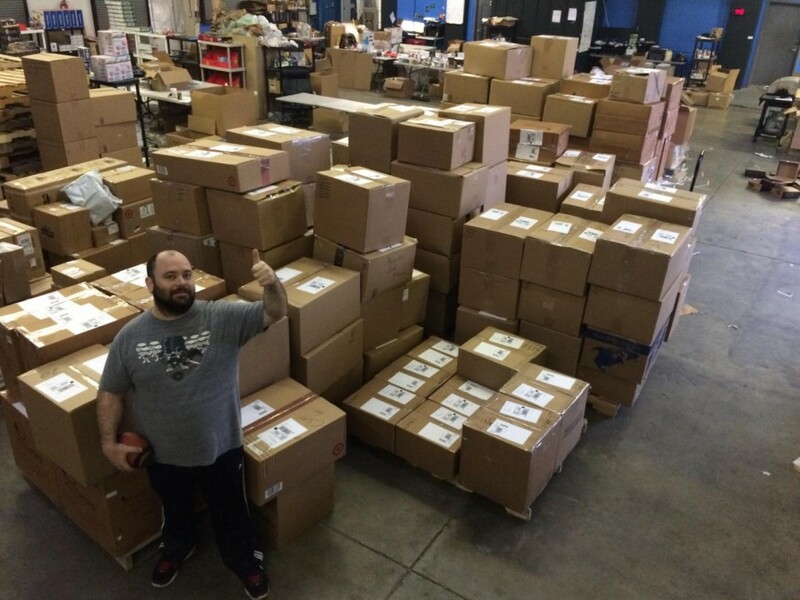 In 2015 we began hiring employees to help us scale and grow while also moving into the 10,000 square foot warehouse we currently occupy. 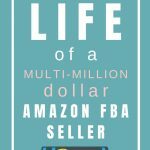 We finished 2015 by doing 3.8 million in sales on Amazon. So far in 2016 (currently July) we are on pace to more than double our 2015 sales as we continue to grow quarter after quarter. We are buying products in large quantities from wholesale companies and manufacturers to sell on Amazon. The products come to you or even better, they will send it to Amazon directly. 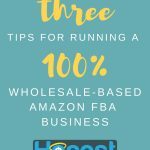 The best part about wholesale is just how scalable it is and how simple it is to automate. These days, Eric and I only work about 20 hours a week on our Amazon business and it could be even less if we wanted. 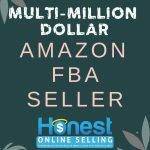 This has afforded us the opportunity to work on other projects, such as public speaking, and developing The Wholesale Formula, our in-depth training course that teaches wholesale the way we do it. That is not an original piece of advice. That actually comes from Yoda, but it always resonated with me. What I gather from that quote is that you should be someone that takes action, but not just that. If you are going to take action, you want to jump in with both feet. Don’t falter. Don’t try. DO IT. I can’t stress this one enough. Every day I am trying to learn something new. From books, to podcasts, to Facebook groups…every day I set aside time to learn because some of my biggest professional breakthroughs have come from the simplest pieces of knowledge or advice I have gleaned. #3 - If time is the single most important commodity for growing your business then outsourcing should be number two. I have always said, if you value your time at $50 an hour then you better not be spending your time on $10 per hour tasks. A top priority for every entrepreneur should be constantly finding ways to make sure your time is spent on only the highest valued tasks for your business. 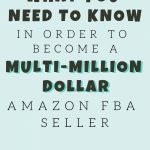 I am in the process of getting you access to the Wholesale Formula’s FREE 3 part training over wholesale very soon. 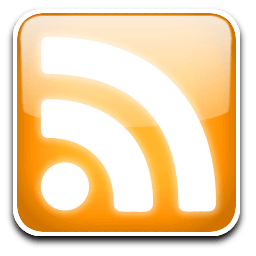 So there will be ideas on finding reliable wholesale sources in that free series. Stay tuned! This is something I would love more info about. 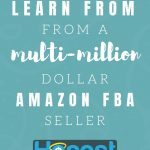 I’ve taken a couple of Amazon courses, but not one that really talks about wholesale exclusively. 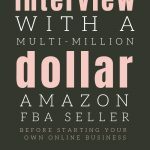 Will you be offering some type of course or ebook? Stay tuned here or on my free Facebook page as we’re going to get a LOT of your wholesale questions answered in the coming days. I must live in a different world. I tried to find retail arbitrage products to no avail. Went to Walmart, Kmart, Big Lots, Ross… Everything I scan is selling for the same price or less on Amazon and Ebay. I tried websites like Toys R us and looked in clearance page and same deal. I even saw one clearance product selling on Ebay by Toys R Us! How do you compete with that? I think successful RA is location specific. Also tried Googling USA wholesale companies and most items were higher wholesale then the price on Amazon! Hey Jordan just wondering if this involves buying large quantities of inventory from China? Thanks! Not China-focused, LOTS of opportunity with U.S.-based manufacturers too. I love reading stories like this. Just what I needed. 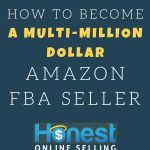 Thank you for sharing, and I am definitely looking forward to more information on wholesale selling. As much as I love RA, I am really keen to learn how to wholesale efficiently / properly as I think it can help me move past some of my current challenges–one being exhausting local supply when I find a good RA deal and another being that I tend to have peaks and valleys in my RA sourcing based on the changing demands on my time from my day job. Totally agree, they are going to help us with that. Stay tuned on my blog or on my facebook page (https://www.facebook.com/MalikEnterprises/) as I’m going to have a lot more info for you soon. Awesome George. If they/i can do to it, so can you! Do you teach one to one? If so what would be the cost. 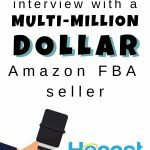 I think having a coach is probably the fastest way to really building an Amazon business. Hi David – Stay tuned here or on my free Facebook page as we’re going to get a LOT of your wholesale questions answered in the coming days.